How precious - these antique white baby shoes are displayed in a gorgeous glass cloche! 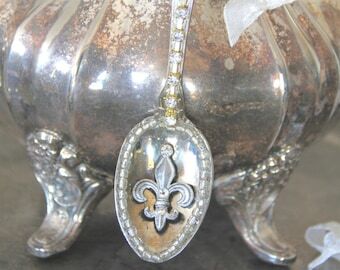 Creating one of a kind pieces is our specialty! 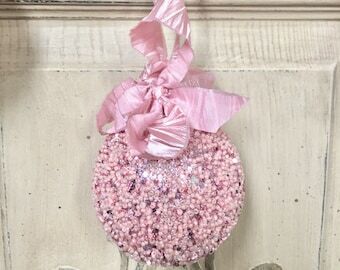 These lovelies have been laced with antiqued white crinkle ribbon and placed on a silver rhinestone embellished plate. 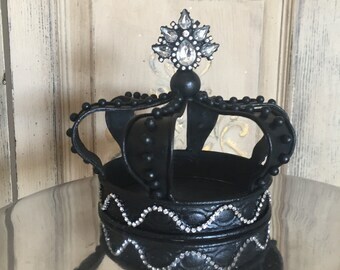 A detachable crown pendant is also hanging from the jewel embellished hook inside the cloche. Bring back memories of days gone by with this pair of antique shoes. 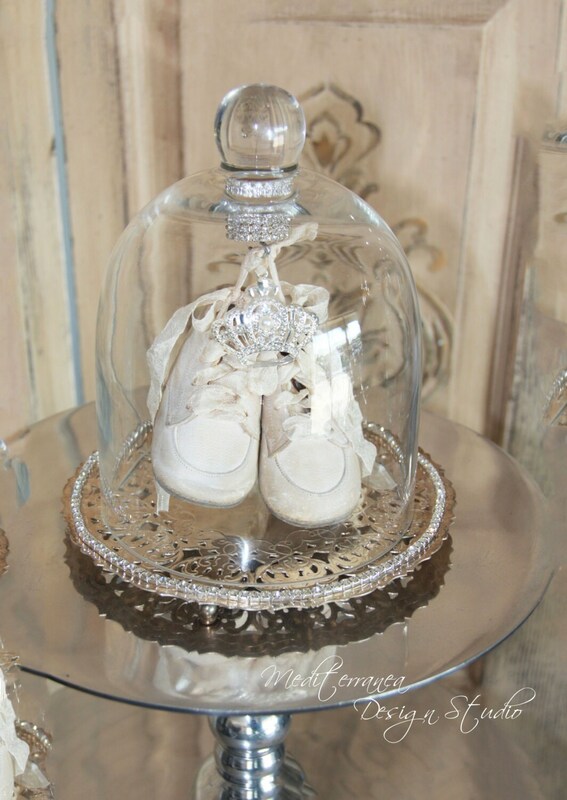 Included in this listing are the shoes, crown pendant, rhinestone embellished plate and the glass cloche! 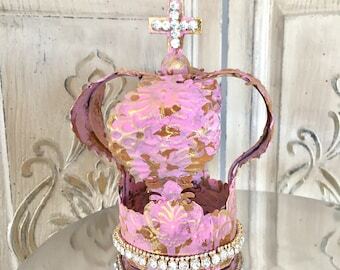 Size is aprox 8" wide x 9" tall.